The utilization of bagasse as a raw material to prepare activated carbon adsorbents is an effective way to solve the water pollution problem, while achieving the goal of treating waste simultaneously. An effective activated carbon-based adsorbent was prepared from sugar cane bagasse with a one-step method of pyrolysis and ZnCl2 activation for efficient Cr(VI) removal from water. Morphology, physicochemical properties and structure of the adsorbent samples were studied by Scanning Electron Microscope, Energy Dispersive Spectroscopy, X-ray Diffraction, N2 adsorption and desorption, Fourier Transform infrared spectroscopy and X-ray Photoelectron Spectroscopy. 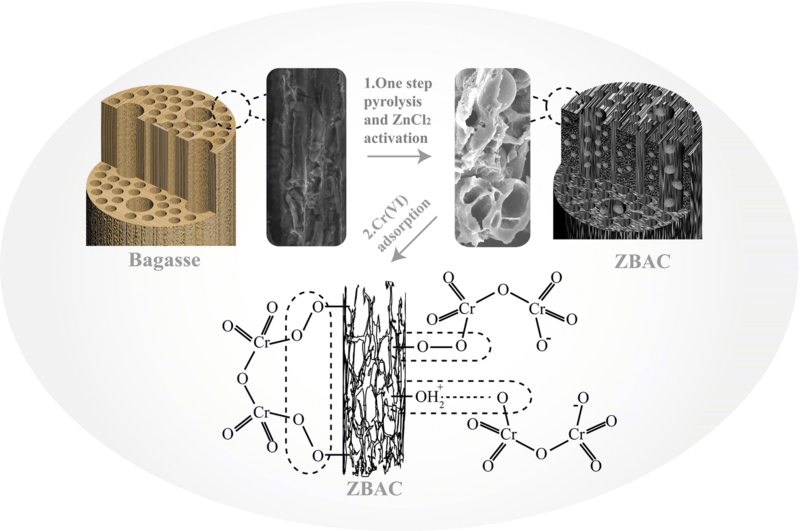 The batch and fixed bed adsorption experiments were adopted to confirm the one-step preparation of pyrolysis and ZnCl2 during the activation process and to investigate the adsorption mechanism of Cr(VI). The maximum adsorption capacity was 80.880 mg g−1, while the adsorption behavior fitted better with Freundlich equation and pseudo-second-order kinetics. These results confirmed that chemical adsorption is the strongest adsorption interaction during the adsorbing process of Cr(VI), and the adsorbents could effectively capture Cr(VI) to form monodentate and bidentate complexes. The online version of this article ( https://doi.org/10.1007/s10570-019-02418-9) contains supplementary material, which is available to authorized users. 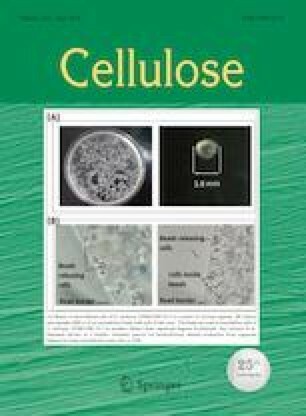 This work is supported by the National Natural Science Foundation of China (51773159, 51303142), the Science and Technology Planning Program of Guangdong (No. 2015A010105018), and Special fund of Guangdong academy of Science (No. 2016GDASPT-0108).